Size of baby? I'm convinced this girl is a whopper. Size of honeydew I think? I don't know. I want to say more like a basketball. 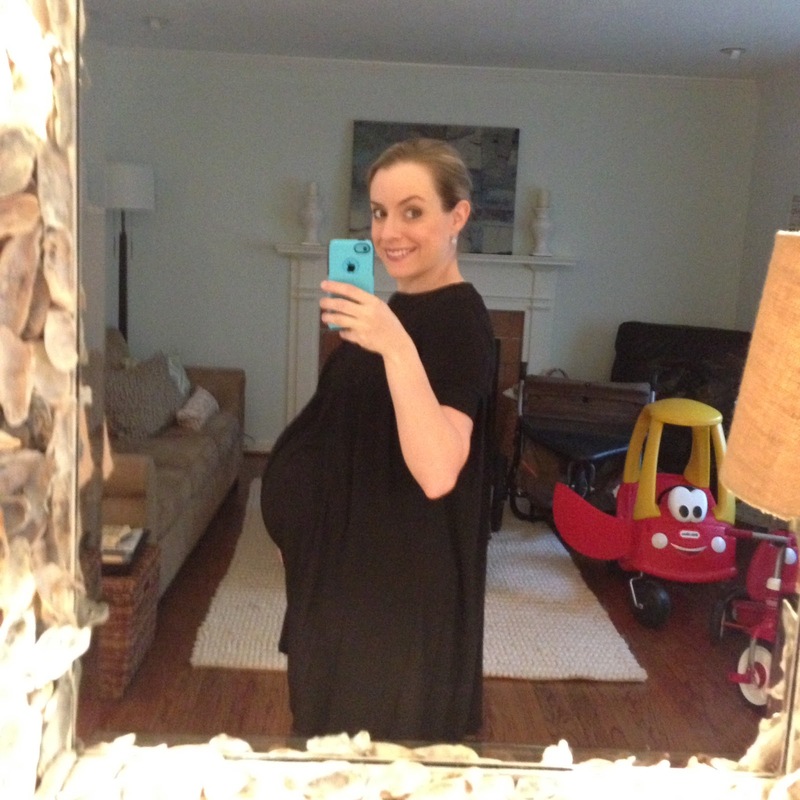 Lots and lots of awesome contractions (Braxton Hicks stuff). Some are a little painful, but nothing like the real thing. My back is breaking off. Not really sleeping. That's about it! Fun times in short torso pregnancy! Ready to meet this little girl already! New craving- chewy ice. Obsessed. I eat SO much chewy ice now Hubs can't buy it fast enough. Best moment of the week? Papa is here to help me out with Evans! Woo. Hoo. Not much of a post this week... can you tell I'm completely miserable? Sorry to anyone and everyone in my path lately. I know my attitude kind of stinks right now, but come on, you'd be foul if you were this uncomfortable, too!